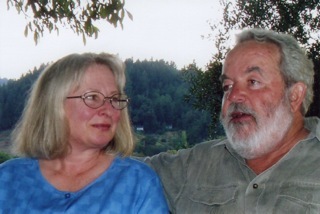 Tom Maple, husband, friend, partner, doggie "dad" and grape grower, died quietly in his sleep on May 14, 2015. And so released his spirit from the many bodily ills it had borne over 70 years on earth. He loved and respected me and was devoted to all the orphaned dogs who found forever homes with us during our 31 years together. Although Shorty, Maggee, Roy and I will miss him terribly, he's with us in every vine, leaf and bunch of grapes, forever. 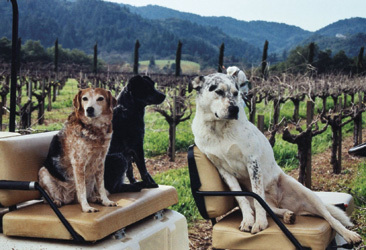 Serendipitously, we became grape farmers in 1988, just after moving to Dry Creek Valley. 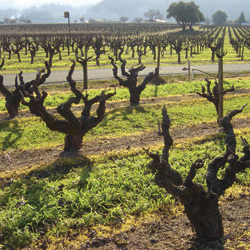 Tom became smitten with the old zinfandel grapevines crowding our house: their flavors, shapes & tenacity. And when suddenly the vineyard was for sale he was bold and brave and Maple Vineyards was born. Starting with no intent and less learning we personally worked and rehabbed and made 25 acres flourish. 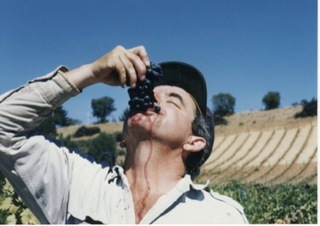 Grape growing was the absolute passion of his life for 26 cycles, 26 harvests. Wineries — armida.com, bellawinery.com, dutchercrossingwinery.com, mazzocco.com — produce wonderful zinfandel wines from the fruits of our labors. Thinking of Tom? Drink some zin! Adopt a dog!